Building partnerships within your community and across counties. The planning area for the Twin Platte NRD HMP includes the counties of: Arthur, Keith, Lincoln, and McPherson. We invited all communities, schools, fire and police departments, hospitals, nursing homes, and special districts to participate in this process. For additional information or questions, please contact Phil Luebbert. 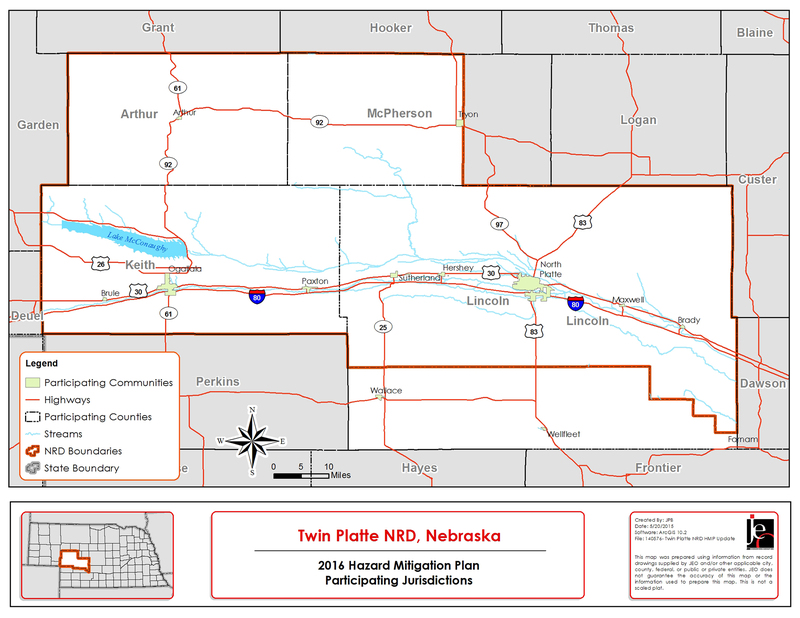 For more information about the Twin Platte NRD, please visit their website. The Twin Platte NRD Multi-Jurisdictional Hazard Mitigation Plan has received “approval upon local adoption” by the Federal Emergency Management Agency (FEMA). At this point, each plan participant must adopt the plan at the local level. If you have any questions, or would like to see an example plan adoption resolution, please contact Phil Luebbert.